Getting a unicorn to chill with you for a day might seem impossible. After all, they’re hyperactive from the steady diet of Tootsie Rolls and energy drinks. 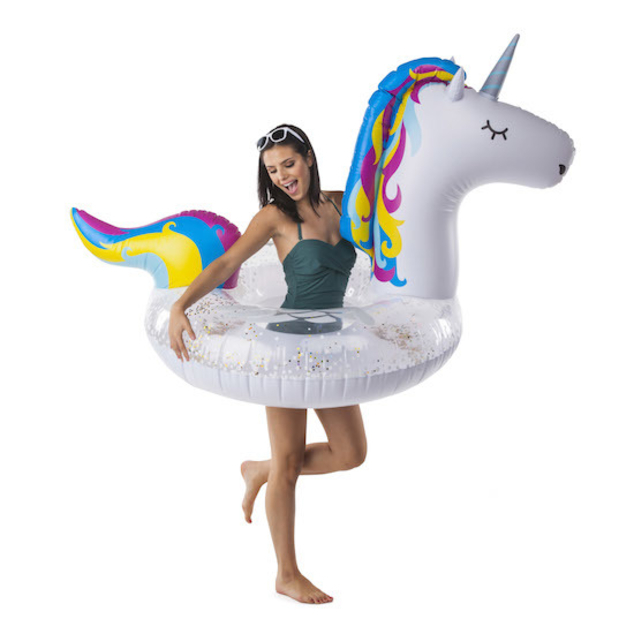 But once again, we made fantasy a reality by crafting your spirit animal into a 5.5-foot-wide inflatable pool float. Besides the obvious (showering yourself in sugary rainbows) it’s designed for big fun at the pool or beach. 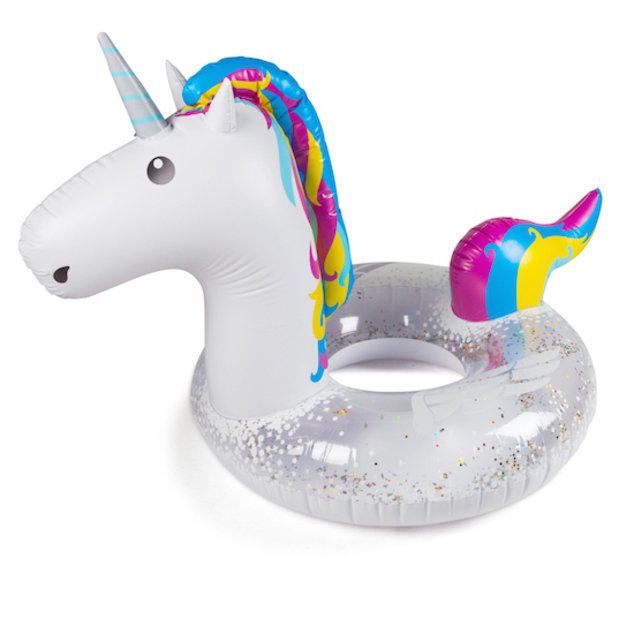 It’s made of durable vinyl that’s infused with sparkles, so it looks great while holding up to the relentless summer sun. We sized it just right, too—it won’t hog up the entire pool but is big enough to be the center of the action.